Hotel Lux are back with new single ‘English Disease’, a track that initiates a new era and clear step up in songwriting for the band. The five piece have taken their time to discover their sound, finding a dark side after their “Sleaford Mods Tribute Act” beginnings, and now towards a chorus driven, true reflection of the everyday voice. 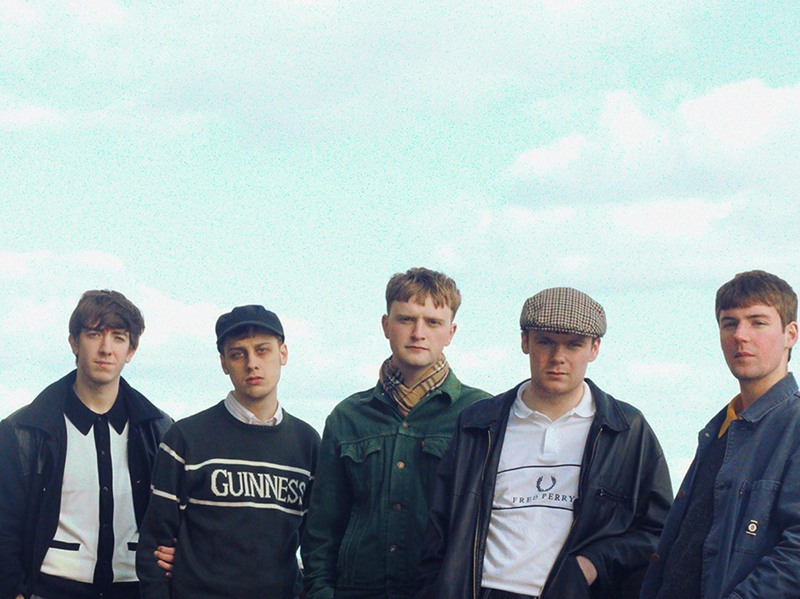 Whilst juggling tours with shame, Slaves, Fontaines D.C. and The Chats and writing new songs, the band have been watching, laughing and and deliberating over the state of the country, and the people within it. Rather than re write and re do the Hotel Lux that people expect, with dark dissatisfaction, the band, this time, mock and poke fun. This is all to be seen in ‘English Disease’ where frontman Lewis Duffin drones lyrics about The Pub, Danny Dyer and Lady Diana. Highlighting those boozy pub chats and exposing everyday british frailties and failures. Hotel Lux worked with producer, Dave McCracken who has recently been at the helm for Sports Team and Pip Blom following previous work with Ian Brown and many others.